There are few gymnasiums in Nigerian cities and even fewer trainers to nurture talents. It is ever saddening to come across youngsters playing football on the road or on scorched fields in city centres. What really would it take for city administrators to include well-maintained sports fields in our urban spaces? These are not complicated solutions; they are basic but will go a long way. Shortly before the Olympics started, the first team of our U-17 male national team players was practically vanquished when a staggering 26 of them (out of 60) failed MRI screening. We heard Nigerian officials lament the problem of age cheating, we heard them blame each other over such an embarrassing development, but we did not hear them propose changes to the structure of our society that recycles the problem of “football age.” In 2009, we passed through a similar scandal of overage U-17 players when a PUNCH columnist, Adokiye Amiesimaka, revealed that Fortune Chukwudi, captain of the then U-17 team was at least 25 years old. Nigeria has been shamed many times for her brash cheating tactics when it comes to the “football age” issue. As despicable as these acts are, they are simply the symptoms of the many problems of Nigeria. One cannot entirely blame footballers for lying about age without considering the peculiarity of the Nigerian situation – we do not have a reliable system that searches for talent early, trains them, and builds them into sportsmen and women. The few sportsmen who made it in Nigeria have done so by strong personal determination in the face of a relentlessly antagonistic society. Unfortunately, by the time they finally make their first sporting appearance, they are already older than their counterparts who started attending sports practice as soon as they could walk. The Nigerian, disadvantaged by age and late start, strives to compensate for the belatedness of his/her emergence through cheating. Some migrate to Europe and dump the Nigerian citizenship for another country’s passport. In the ongoing Olympics, it is amazing the number of times Nigerian names have come up in different countries of the world: from Asia to the United States and even to Arab countries. When interviewed, it turns out that they were frustrated by Nigeria and they found refuge under some other flag. Most of Nigeria’s representatives in the ongoing Olympics do not live in Nigeria but in other parts of the world from where they are drawn to represent the country. How can such a mercenary-like relationship result in anything productive? Nigeria needs to develop her sport infrastructure for future representations so that we can stop wasting money, time, and the political capital we invest in international games. 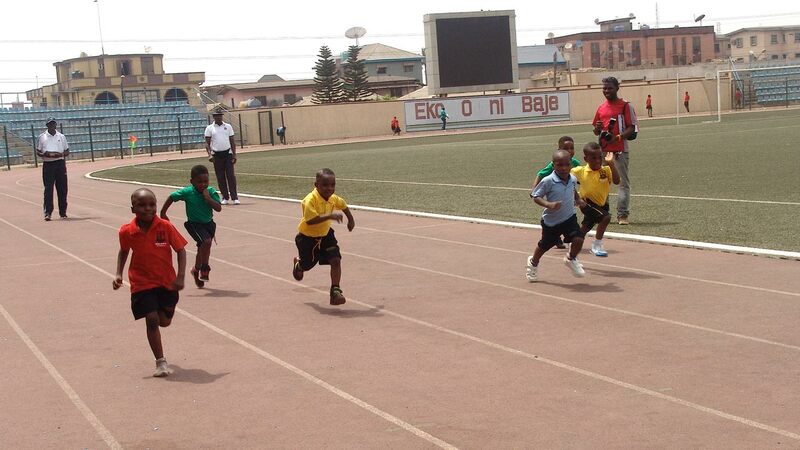 One of the areas we can explore is the inter-school sports culture that, once upon a time, used to be vibrant. Schools competition has had a long history – from “Empire Day” competitions in the colonial era to Hussey Shield athletics competition for those in teacher training in the 1930s to the West African inter-varsity games (which later became NUGA) in the 1960s, we have had a robust sporting history. In 1976, the Nigerian Sports Commission established the Nigerian School Sports Federation to organise sporting competition in secondary schools. Today, the culture of sporting competitions among secondary schools is virtually dead. The present public schools are underfunded and cannot take up such venture. The government, eager to preserve the facade of “free education”, disallows the school administrators from sourcing for money from parents or anywhere else. Private schools, unfortunately, are far more fixated on pumping children with academic work at the expense of a simultaneous building of their body as well. Truly, sports is an expensive venture and it may be hard to ask parents to come up with more money to pay for them to be staged but bigger problem is that people do not seem to think they are important. Last year, I drove around Lagos with a friend who was conducting an academic research into schools’ curriculum and was astounded by the number of private primary schools that had no playground! In one of the schools, the children stood on a narrow pavement during their break time yelling at one another. They could neither run around nor explore their environment. How were such schools approved by the Ministry of Education? Yet, the head teacher boasted their pupils could handle hard sums by age five. Any educational system that makes a child do hard sum needs overhauling. Children should play, explore their environment and build a wild imagination they will need later in life. Otherwise, by the time they get to secondary schools, they find sports culture alien. The secondary school level is the best point to harvest fresh talents and begin to nurture them, not when their feet are getting tired and their counterparts elsewhere are already planning to retire. Countries like the US send coaches to high schools to scout for children who will play college sports. If Nigeria will ever compete in tournaments like the U-17 football competition, it will have to learn to stop cheating by fielding players who are over 17 years. To stop cheating, they have to actively recruit young people right from secondary schools and develop them. As a country, we are used to lying our way to football glory and when modern technology like the MRI outs our dishonesty, we become confused. We need to re-orient ourselves towards doing things the right way. Getting there requires hard work and planning, something which Nigerian officials almost always seem to abhor. If we will ever have a sports industry along with the many benefits of sport enterprise, we will need to bring back inter-school sports culture. In the interim, Nigeria can take advantage of other countries’ established sports facilities by offering scholarships to young and promising people to study abroad. While there, Nigeria will get them a coach who builds them for sporting tournaments. Those who represent Nigeria currently already come from abroad so why not properly coordinate for the country’s advantage? That, however, is an expensive project and can only work best in the short term. The long term solution is to recreate our environment and make it conducive for sports. A nation that lacks viable representatives at sporting games is announcing to the world that it also lacks the youth to defend her honour and glory in areas such as defence, culture and in the intellectual sphere.